COB packaging in the field of LED Signs has matured, especially in the field of small outdoor space with its unique technical advantages of the emergence. Especially in the last two years, with the production technology and production process improvement, cob packaging technology has made a qualitative breakthrough, some of the previous constraints on development, but also in the process of technological innovation to solve. So where is the cob package technology advantage? How is it different from the traditional SMD package? Will it replace SMD as the mainstream of LED display? Generally speaking, whether a kind of encapsulation technology has vitality, is to from the industry chain Head (LED chip) always see it tail (client application end). Evaluated through a comprehensive analysis. Among them, the final judgment right of some encapsulation technology must come from the client application end, not a link in the industrial chain. This article will be through the cob and SMD two package form analysis and comparison, explore the LED display field the best packaging. Overall, the COB package and SMD package on the choice of LED chips is standing on the same starting line, after the selection of different technical routes. COB package is the LED chip directly with conductive glue and insulating glue fixed in the PCB plate lamp bead lamp pad, and then carry out the performance of LED chip welding, testing intact, with epoxy resin encapsulation. SMD Package is the LED chip with conductive glue and insulating glue fixed on the lamp bead bracket pad, and then adopt and COB package the same conduction performance welding, performance testing, with epoxy resin encapsulation, and then to light, cutting and taping belt, transport to the screen factory and so on. 2. Comparison of advantages and disadvantages SMD Packaging Factory can create high-quality lamp bead is not to doubt, but the production process is too much, the cost will be relatively high. will also increase from the Lamp bead packaging plant to the screen between the transport, material warehousing and quality control costs. and SMD that cob packaging technology is too complex, the product of one pass rate is not a good control of the single lamp, or even insurmountable obstacles. The failure point can not be repaired and the finished product rate is low. In fact, the cob package with the current equipment technology and quality control level, 0.5K integration technology can make a pass rate of 70% or so, 1K integration technology can reach about 50%, 2K of integrated technology can make this index reached about 30%. Even if there is no pass rate detection of the module, but the whole plate bad point is 1-5 points, more than 5 bad points above the module is very few, sealing before the test and repair can make finished product pass rate reached 90%-95%. With the progress of technology and the accumulation of experience, this indicator will continue to improve. At the same time we also have the glue after the bad point by point repair technology. SMD Package: Obviously, this single lamp bead monomer encapsulation technology has accumulated many years of actual combat experience, each family has the skill, also has the scale, the technology is mature, realizes relatively easily. COB PACKAGE: is a multi-lamp bead Integrated new packaging technology, practice in the production equipment, production process equipment, testing methods and many other technical experience is in the continuous innovation practice to accumulate and verify that the technical threshold is very difficult. The biggest difficulty at present is how to improve the product pass rate. COB package is facing a technical peak, but it is not insurmountable, but it is relatively difficult to achieve. COB and SMD package can be controlled very well, to customers can guarantee 0 failure efficiency. Theoretically speaking, cob in this part of the cost control should be slightly, but the current capacity is limited, has not yet formed a large-scale, so the temporary or SMD occupies an advantage. Reliability Pitfalls: The four-corner or hexagonal bracket used in SMD packaging brings technical difficulties and reliability risks to the subsequent production process. For example, the lamp bead surface over reflow soldering process needs to solve a large number of stent pin welding yield problem. If SMD to apply to the outdoors, but also to solve the stent foot of the outdoor protection of good rate problem. The cob technology is precisely because of the omission of this stent, in the subsequent production process will almost no longer have too much technical difficulties and reliability problems. Only face two technical hills: one is how to ensure that the IC driver chip surface reflow soldering when the lamp bead surface does not appear failure point, the other is how to solve the problem of the consistency of the module ink color. The cob package does not exist because there is no bracket. SMD package is led by the display factory to purchase SMD packaging factory lamp beads, and then SMD processing to the PCB board. A. Competition issues This link and packaging links, packaging links in the middle of the industrial chain, a handful of enterprises, there will be a certain amount of profit space. and screen Factory link in the SMD industry chain in the downstream, many enterprises, the technical threshold is relatively low, fierce competition, thin profit, survival pressure. In a large number of screen factory enterprises through the financing of listed companies by virtue of capital strength, brand advantage and foreign market channel advantages occupy the main position, other small and medium-sized enterprises if there is no difference in the product can only be a big wave scouring the sand. The uneven level of development of enterprises will inevitably lead to the expansion of product quality differentiation. What do companies do and how do they do it in such an environment? To do a good job in this area, to minimize the problem of product reliability decline, the use of technology seems simple, but it is not. The following three factors deserve our attention. PCB board design quality, material, production technology, process and warehousing quality control level. SMT Equipment Precision and SMT production process quality control level. Facing the market competition, the manager's cost consciousness and quality consciousness. We believe that to reduce the quality of raw materials and the sacrifice of product quality competition will bring disastrous consequences for the industrial chain. COB encapsulation does not have this process, the cost of this link is always zero. SMD package with the increase in the density of the product point, patch technology more difficult, the cost of the product will increase. Moreover, the higher the point density, the more the cost increases, the non-linear acceleration growth relationship. There is no such process in the cob package, and there is no reliability reduction problem in this link. SMD package due to the general existence of 4 solder feet per bracket, there must be reliability reduction in this link. This is determined by the theory of reliability. According to the principle of reliability, the less the control link of a product, the higher the reliability. The cob package increases with dot spacing and dot density, its lamp bead surface control link is always 0, and SMD package with point spacing and point density increase, it's control of each square metre will increase with the corresponding point density per square meter increased to 4 times times the number of increase. D. Failure of lamp bead caused by reflow soldering temperature SMD Lamp bead Device in reflow soldering usually requires a temperature of about 240 degrees, lead-free soldering even to reach 260 degrees-280 degrees of furnace temperature. There are two possible failures of the lamp bead device in the reflow soldering machine. A failure is the LED chip at elevated temperature under the action of cracking debris: LED chip as humans, there are normal and abnormal individual differences, when the weak, residual individuals through high temperature, can not withstand the test, it will appear this kind of problem. If the furnace immediately after the failure, the problem is not big, change can be. Fatal is after the furnace has this hidden trouble can also be lit, can also pass the aging test, transport vibration, or to the client after the use of a period of time after expiration. Another failure is the pull failure of the LED chip welded wire. Hardness: Shore D 84 So not afraid of static electricity, not afraid of bump, not afraid of impact, bending deformation, wear-resistant, easy to clean. Therefore, and human contact friendly strong, not fragile, durable. SMD Package Lamp bead is welded to the PCB board by the pin of the bracket, the physical strength test performance is not high. Delicate afraid to touch, afraid of touch caused by static electricity failure, and human contact friendly not strong. 3. Analysis and evaluation In this link, the advantages of the cob package has emerged, there is no vicious competition environment, there is no cost and reliability problems. So cob easy to achieve small spacing is not only refers to the concept of physical space, but also the advantages of cost and reliability. and SMD package in this link face how to improve the stent pin welding yield technology breakthrough, it will take a lot of manpower, material and financial resources. And as the dot density becomes more dense, the problem of cost and reliability becomes more and more prominent. The cob package has long been plagued by the problem of ink consistency, and it is now possible to solve this problem technically. SMD Packaging is the use of mask technology to solve the ink color problem. The cost of the two packages in solving the ink color problem is roughly the same, and there is no effect on the reliability of the product. COB package LED Wick has been sealed with epoxy resin, there is no bare welding feet, outdoor protection to solve the problem is only the PCB board protection and waterproof structure design, technology is very simple. There are two levels of protection. General outdoor application level (such as leasing and solid): Ventilation paint treatment process. High and low temperature, damp, salt spray environmental application Grade: Nano-coating + anti-uv+ ventilation paint treatment process. There is also a silicone seal ring between the kit and the box to ensure that there is no water entering the module and the box. SMD Packaging is the need to SMD device stent placement pins for potting protection, especially to above P4 led screen, technical difficulty is quite large. A. Competition issues COB package has not yet formed a large-scale production capacity, currently at the P8-P10 level, has not yet formed a cost advantage, at present only in stadiums and leasing markets need not be afraid of the impact of outdoor display and high and low temperature, humid, salt spray application environment, such as the application of special niche market has applied advantages. At the P5-P6 level the cost has been comparable to the SMD. Cost will have an absolute advantage in p4-p3 and even more dense pure outdoor applications. One but future production capacity, cob package will be at all point density level with price advantage, there is no cob peer competition. SMD facing the competition between peers as mentioned above, so the quality of the stent is essential, in order to save costs and reduce the height of the stent, it will make the glue technology more difficult, the rate of irrigation is reduced, not only can not save costs, but will reduce the reliability and the cost of filling processing. COB encapsulation of this process cost is based on the outdoor processing cost per square meter, and the increase in point density is not. The outdoor protection cost of SMD package increases with the increase of product point density and the difficulty of potting technology. Moreover, the more dense the point density, the more the cost increases, and the non-linear acceleration growth relationship. COB PACKAGE LAMP surface has epoxy resin seal, in this process does not exist bare chips and pins need to deal with, just the PCB board outdoor protection treatment, basically there is no reliability reduction problem. SMD Package lamp Surface each bracket exists 4 feet, need to potting and sealing treatment, so there is a stent pin glue Baofungliang rate index. As with reflow soldering, there is a problem of reliability reduction caused by stent pins in this link. According to the principle of reliability, the less the control link of a product, the higher the reliability. COB package with dot spacing and increase in point density, the control of its lamp bead surface is still 0, and SMD packaging with the point spacing and point density increase, its control link will continue to increase with the corresponding point density of 4 times times. The cumulative control link refers to the reflow process control of the SMD and the accumulation of the process control of the glue. As can be seen from the data in the table, the value increases 8 times times as the point density increases. In an overly competitive environment, the height of outdoor smd lamp bead bracket pins is decreasing, which increases the difficulty of this technology. How to put the glue in such a small height of space, to cover all the feet, to control the level of the module, is indeed a very difficult level of technology. D. Outdoor protection handling issues COB package of light bead surface is hemispherical surface curve, all the devices are covered by epoxy resin, no device pins exposed outside the surface, and the curve is too smooth, no edges and corners. such as the use of spraying technology, whether the principle of electrostatic absorption or true air deposition principle can be handled without dead ends. Therefore, whether the application in the indoor, or outdoor environment or harsh high and low temperature, humidity, salt mist environment, there will be no device pin oxidation caused by the lamp bead failure worry. COB PACKAGING PCB board must be immersed gold technology, to ensure that the device in the entire process is not easy to oxidize, so as to ensure that both sides of the PCB board plating treatment without device pins of the oxidation potential. Analysis on the advantages and disadvantages of two different packaging technologies of COB and SMD SMD Package Lamp bead will have a lot of convex square body, angular. The bare support pins of the lamp bead face need to be protected by outdoor protective treatment. If the indoor light bead wants to improve the use of half outdoor, especially in damp and salt fog environment, must do plating treatment. If the PCB board is a spraying tin manufacturing process, in the process of making device pins easily produce oxidation potential, and then do spraying, the effect is not ideal. Light bead in the shadow area beneath the abdomen there are spraying dead ends. In this link, the advantages of the cob package again, there is no reliability reduction problem, the current outdoor technology has broken through to the P3.0 level. SMD package In this link continues to face how to improve the stent tube foot outdoor protection of the technical problems of the gel yield. For outdoor small spacing, technology is more difficult, need to spend a lot of manpower, material and financial resources to break through this technology. And as the point density becomes higher, the problem of cost and reliability becomes prominent. V. Terminal Customer Reliability Experience Link The two packages go through different technical routes and finally come to the end of the customer, their experience is the most voice. Theoretical analysis needs to be evaluated by their practical application. With the increasing of the actual case of cob package display, and the expanding of the special application field, the market will make analysis and choice to these two kinds of packaging technology. The power of this choice comes from the market, from the very end of the industrial chain. 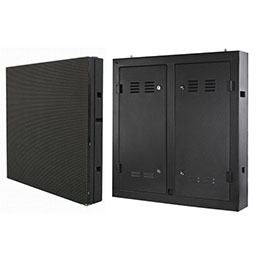 In the comprehensive analysis of each link, use the following two charts to the two technical styles in the LED display industry chain of the situation to make a summary. COB PACKAGING Technology: From the beginning of the package, to the screen manufacturing, COB packaging technology is integrated LED display industry chain of the middle and lower links, all production is done in a factory. This kind of production organization is simple, the process is compact, the production efficiency is higher, it is more advantageous to the whole automation production layout. This form of organization is also more conducive to product quality control throughout the process. This form of organization is still an organic whole, in the product development phase, we should consider the problems that each production link may encounter, and make a comprehensive evaluation of the technical implementation plan. This form of organization can also be better for the end customer commitment to quality responsibility. From the point of view of the difficulty of technology implementation and the influence on product reliability in the whole production process, it can be seen from the following figure that the white horizontal axis represents the main technological link on the industrial chain, and the white columnar line on the process node of the white horizontal axis indicates the technical difficulty. The Red line segment above the figure represents the reliability curve of the product from the package link to the client application link. The Blue line segment represents the technical difficulty curve of different links in the industrial chain. COB package in LED display the integrated packaging technology of this multi-lamp bead only faces a technical peak, it appears in the package of the lamp bead. And this technology is not insurmountable, but it is not who can climb the past, is a comprehensive technology embodiment, the need for countless failures and lessons learned, the need for years of technology accumulation and precipitation, need to be firm, steadfast, not afraid of difficulties and innovative spirit of the craftsman. Once over this technology peak, as the carp jump Longmen, the road after the mountain will be Yimapingchuan, in the whole production link no more technical difficulties. From the red product reliability curve can be seen, COB package once the lamp bead seal Well, the subsequent production link to its reliability almost little impact, after a year of client application, reliability indicators and encapsulation of the same. 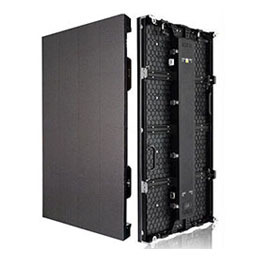 SMD Display in the industry chain of packaging enterprises and display companies are two types of independent enterprises, industrial profits by the two types of enterprises to share. Although the cake is big, but the enterprise is many, the competition is intense, the profit is thin. This kind of production organization is complex, will waste part of the industry profit and efficiency, product quality control is relatively difficult. As the package and display factory links to each other independent, in the production process of technical difficulties difficult to effectively cooperate, collaborative research. End customers use products once quality problems, involved in many links, the difficulty of the pursuit of responsibility. From the point of view of the difficulty of technology implementation and the influence on product reliability, the curve color and meaning in the following diagram are the same as the previous figure. It can be seen in the SMD display packaging industry chain, there are two hump-style technology peaks, these two technical difficulties appear in the screen, and packaging link due to the technology mature and stable, technical difficulty is relatively small. 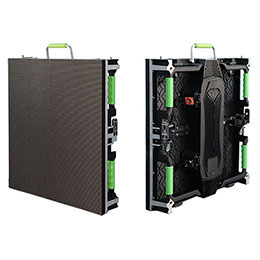 So the technical difficulty of SMD LED display screen will be superimposed on the difficulty of cob encapsulation technology. The deterioration of the competition environment and the imbalance of profit distribution affect the trend of the product reliability Red line from the encapsulation factory, although the red line of each plant is high and low, the downward trend of their application to the client is no doubt, which is determined by the theory of reliability. This is the customer application side of the product reliability of the feeling and the factory standard of packaging factory is inconsistent with the real reason. Therefore, the product reliability of SMD is mainly determined by the screen factory link. In the future in the display area, which package is more vitality, believe that the end users will make the right choice. To provide customers with cost-effective display products is the direction of COB encapsulation efforts, COB packaging in product reliability and price of civilians will make an important contribution to the development of the industry.